Early European visitors placed Ayutthaya alongside China and India as the great powers of Asia. Yet in 1767 the city was destroyed and its history has been neglected. 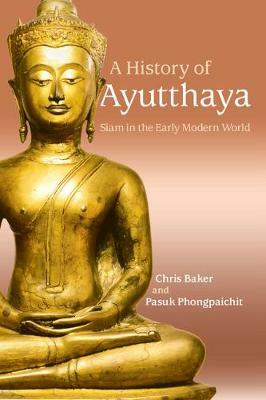 This book is the first study of Ayutthaya from its emergence in the thirteenth century until its fall. It offers a wide-ranging view of social, political, and cultural history with focus on commerce, kingship, Buddhism, and war. By drawing on a wide range of sources including chronicles, accounts by Europeans, Chinese, Persians, and Japanese, law, literature, art, landscape, and language, the book presents early Siam as a 'commercial' society, not the peasant society usually assumed. Baker and Phongpaichit attribute the fall of the city not to internal conflict or dynastic decline but failure to manage the social and political consequences of prosperity. This book is essential reading for all those interested in the history of Southeast Asia and the early modern world.